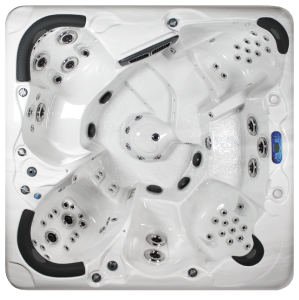 Elegant, powerful and versatile best describes this hot tub model. The K2 is loaded with unique therapy seats; including a 31 jet total body massage seat, 360 degree foot massage, reverse neck seat and multiple cool down and companion seats. 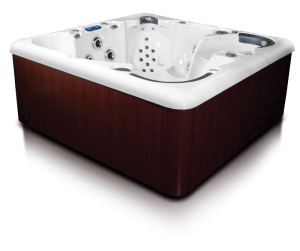 This spa provides unsurpassed power and quality with many features you will not find in any other of the best hot tubs, includings dual remotes, seating for eight, and multiple lighting and water features. Remember, we are here not only to install your hot tub, we offer pool maintenance as well. Fill Weight: 4656Lbs. / 2116Kgs.